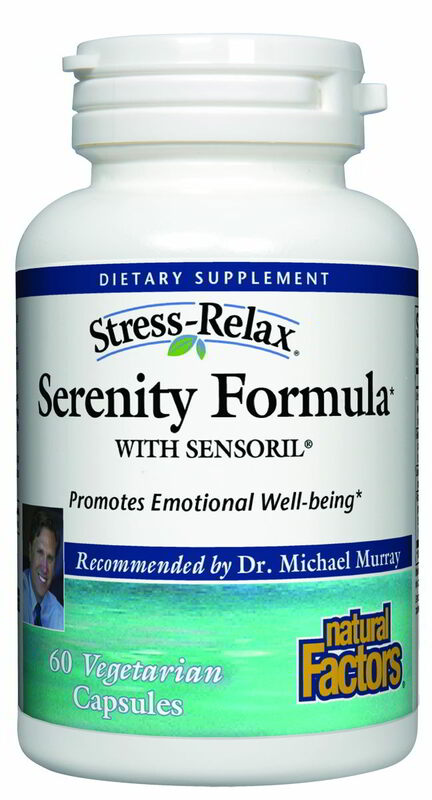 Dr. Murray's Stress-Relax Serenity Formula is a comprehensive formula designed to promote emotional well-being and to help the body cope with chronic stress. The formula contains SensorilÒashwagandha as well as calming herbs, Eleuthero extract (Siberian ginseng), Lavender and Rhodiola. 1-2 capsules, 2 times per day or as directed by a health professional.